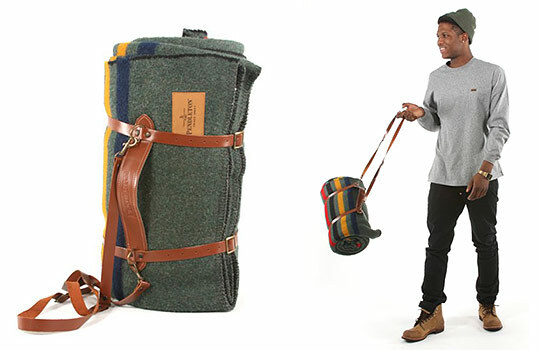 I love it even more for the leather carrying strap and handle, a clever and handsome way to keep the blanket rolled during transportation. I'll bet it also makes for a decent pillow, in the event you simply must nap under a tree. Visit Pendleton online to pick one up, or try Opening Ceremony. Via Selectism.